Promote Just ONE Product And Get Paid On FIVE Other Products In This Proven Funnel! Hey there JV's and Affiliates! Liz Tomey here with a brand new PLR package that your customers and readers are not only going to LOVE, but they're going to be able to really profit from it due to it being a high demand topic and superior quality product. Everything in this product was personally created by me and that's what makes my PLR packages stand out from the rest. A real expert putting their knowledge into products that others can then make real money with! Want to turn your customers onto some seriously killer PLR content? Then this page contains everything you need to get your affiliate link and promotional tools to tell them all about it! 1. 50% instant commissions on the front end $47 package (The price goes up to $97 on May 28th at Midnight eastern and then you'll be paid 50% commissions on the $97 price until all 250 licenses are gone.) Click here to see the sales page. 2. 50% instant commission on the $97 upsell to have the package installed for the customer. (The price goes up to $197 on May 28th at Midnight eastern and then you'll be paid 50% commissions on the $197 price.) Click here to see the sales page. 3. 50% instant commissions on the $197 upsell to the DFY (Done For You) PLR coaching membership we offer. (We also have an entire follow up system in place to sell to those who don't buy in the funnel.) Click here to see the sales page. You'll also be paid 50-75% instant commissions on 2 other products (all are related to PLR) that we will be backending buyers on over a 3 week period of time! This is a great PLR Package product to promote and have the chance to make commission after commission thanks to our backend strategy! What's In This PLR Package? The Blog Profits Masterclass PLR Package contains of course the main product which consists of 9 different videos showing anyone no matter their experience how to setup a blog that creates an income for them. 1. 9 videos showing step-by-step how to setup and monetize a blog in various ways. 2. The editable source videos and script to the videos. 3. Sales page and monetized download page. 4. Complete graphics package including minisite design. 5. A resources report to add as a bonus or to use as a free giveaway. 6. An "action steps" report to add as a bonus or to use as a free giveaway. 7. 10 articles all about using a blog to make money online. 8. 5 follow up emails that promote a blogging product that you can be an affiliate for. 9. List of related blogging products that you can promote as an affiliate marketer. Step #1: If you don't have a JVZoo account you need to signup for an account by clicking here. Promotional Emails: Use these emails to send to your list! Subject: Blogging Masterclass PLR Package – Brand New! Liz Tomey has released another amazing PLR package and this time the topic is on setting up and making money from your own blog! Blogging is an ultra hot topic so you can bet your customers will be all over it! What makes this package truly unique is that Liz always creates her own PLR content. So this is REAL information created by a REAL expert. She’s been running multiple online businesses for over 12 years now, and has poured her expert knowledge into this package. Not only that, but she’s included some killer components for this package! As you can see this package is MASSIVE, and with high quality that Liz puts into all of her PLR packages this is a killer deal! Go grab the PLR package while you can because when the countdown timer expires the special launch pricing expires and you’ll be paying a premium price for this package! Subject: Grab This Today And Sell It As Your Own! One of my favorite things in this business is finding ready to go products that I can setup and start selling. These are like little goldmines waiting for me to open up and start getting the gold out of them. This is a complete ready to go product in the blogging niche which as you probably know is a super hot and profitable niche. no matter how you use it! Right now you can also save a ton off of the original price and pick it up at it’s amazing launch price, but only for the next few days. So take a few minutes, check out this brand new PLR package, and grab it before the price goes up! Subject: Bonuses + HUGE Discount On This Massive PLR Package! I’ve got something killer to tell you about today, but you’ve got to act fast because it’s only going to be around for a few days! The PLR Queen herself (Liz Tomey) is back with a massive PLR package in a HOT HOT HOT niche and she’s just released it at a massive discount. This offer expires December 16th at midnight Eastern time so you need to make sure you grab it now! Subject: Last Call – Brand New PLR Package Discount! You know, the massive one in the super hot blogging niche? Well today is the very last day you can pick it up at it’s discount launch pricing, so make sure you grab it now! This offer expires TONIGHT at midnight Eastern time so you need to make sure you grab it now! Promotional Content: Add your affiliate links and use the following content to post to your blog, social media pages, and/or anywhere else that you have permission to post content. 4 Dead Easy Tactics That Will Allow To Profit With Private Label Content Today! If you haven’t jumped on the private label bandwagon, it’s high time you did. By using private label content in your business, you can add more income with less work. I don’t know about you, but any time I can make more money by working less, I’m all for it. To get you started profiting with private label content, I’ve covered 4 easy ways to use private label content that anyone can use. I’ve used these tactics myself, so I know that it can be done. Okay, let’s go over these four tactics, so you can get a good idea of what’s going on here. New PLR Tactic #1 – I’ve been taking niche PLR products that I have, having new graphics done for them, and putting them on their own domain name as a real product for sale. I don’t sell them though. I sell the entire site. It takes me about 1-2 hours to put together, and I’ve made over $700 just from doing this on ONE site! New PLR Tactic #2 – Many PLR products come with a squeeze page, an email series, and some articles. I again have new graphics made, load up the squeeze page on it’s own domain name and load in the email series to my autoresponder. Throughout the email series though I find affiliate products to promote. 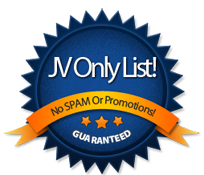 I also take the articles and load them into my autoresponder with affiliate links in them. I then promote my squeeze page (with article marketing and ezine advertising) and make money from affiliate sales. I LOVE this tactic. Something else I will be trying is actually selling the squeeze pages with the autoresponder loaded. All I’ll have to do is change the affiliate ID’s to the person who buys it and all they have to do is advertise. I’ll let you know how that works out. New PLR Tactic #3 – Membership sites. I’ve been creating membership sites in small niches. Like I have one on landscaping. I charge $6.95 a month for the membership and have 63 members. That’s $437.85 I make a month and all I did was advertise in two ezines that cost me a whopping total of $19 for both. The only upkeep on the site is adding information (from my PLR products) about landscaping. Now here’s a question I know I’ll get: Liz, What if I start a membership site and run out of PLR content? It’s happened to me, and this is what I did. I had 10 articles written ($50) and recorded me reading each of them. Put them in the membership sites as 10 new audios about landscaping. All I’m out is $50. You can also have articles written and turn it into a report or ebook. I’ve only run out of PLR content on one membership site I have and it’s about pit bulls. I knew I’d eventually run out of content for it, so now I spend $50 a month and have the content created. I have 144 members at that site that pay $12.95 a month for their membership so $50 a month is nothing. New PLR Tactic #4 – Content for content sites. Lately I’ve been taking ebooks that I have PLR too, and breaking them down into blog posts. I’ll create a blog on the topic, and then just break the ebook down into several blog post. I use a blog poster to post the content about 2-3 times a week and I have a blog running on autopilot. I have monetized these blogs with both Adsense, affiliate programs, selling advertising and links from then, and just by selling them. There you go. That’s four different incredibly profitable ways to make money with different types of private label content. Start with just one, and add more tactics to add more income to your business! I talk to a lot of people who have tons of (PLR) private label rights products on there hard drive and 95% of them (probably more) aren’t doing anything with them. Now in my opinion if you can get private label rights to something (no matter what niche it’s in) you should buy it. Private label rights are the ONLY thing you will ever hear me tell you to buy it all, but I say it for a good reason! Private label rights products are GOLD because of all the profitable things you can do with them. I wrote this blog post to give you 10 different profitable ways that you can use private label rights content to make yourself some money. Tactic #1: Video Marketing – Take all those PLR articles you have and create a slideshow video with your voice reading the article on the video. You could do several of these and submit them to the top video directories for a ton of backlinks to your money site! Tactic #2: Blog Posts – Any type of PLR content makes great blog posts. Comb through your hard drive and organize your PLR content into niches. Then take the first product and create a blog post with it. You could chop up ebooks, reports, and/or videos and post them. You could also post PLR articles as they are. When you get one niche blog going, move on to another niche! This will give you multiple streams of income! Tactic #3: Paid Newsletter – Find several different ebooks in one niche. Then use them to create monthly newsletters, and charge for access! Tactic #5: Video Product – Take an ebook you have PLR to and either turn it into a video series yourself or pay someone over at Guru.com to do it for you. This will give you an instant unique product you could sell. With this tactic you could be in several niches with several different products. Again, that means multiple streams of income! Tactic #6: Article Marketing – Rewrite PLR articles and post them on as many web 2.0 properties (Squidoo, HubPages, Weebly, BlinkWeb, etc.) This is another great way to get tons of backlinks to your money site! Tactic #7: Affiliate Tools – Have your own products? Then use PLR content to create brandable reports that advertise your product. Then allow your affiliates to brand them with their own affiliate links. Tactic #8: Go High Ticket – Bundle several PLR products in the same niche together and turn them into a physical product. You can charge a lot more for this kind of product, so you’ll be making more money! Tactic #9: Free Offer – Turn a PLR product into a free offer that you use to give away from a squeeze page. This will allow you to have something to entice people into giving up their name and email address and you can build your list. Tactic #10: Back End Products – You’ll never get rich selling ONE product. So take those PLR products and turn them into backend products that you can sell to existing customers. Okay, there you go. Take this information and go start making some money! As information marketers we continually keep buying products with private label rights (PLR), and wonder why we’re not maing any money. If you know what to look for then there is no reason why you shouldn’t be making money with PLR products. PLR products are great for list building purposes, back end sales, product packages, and many more profitable ventures, but there are down sides to some PLR products, and if you don’t know what you are doing, you will lose money! By doing a search on any search engine you’ll find thousands of offers for different PLR products and/or packages. The only problem is that a lot of PLR products have been around forever. You can’t give it away much less make money from it. When buying products with PLR, there are a few things you need to look for as far as the quality of the content. I’ve created a short check list you should look at each time you go to buy PLR products. 1. When was the content published? If the PLR product is over a year old, I usually wont buy it. Many things change within a year, and I only want to provide up to date information to my customers. So before you buy, ask how old the content is. 2. I do a search for the name of the PLR product on the main search engines to see how much competition there is for it. If 20,000 other people are selling the same thing as you, then how are you going to be different from them with the same product? There are millions of people online, but you still have to stand out from the crowd. Don’t buy PLR products that everyone and their brother is trying to sell. 3. Does the PLR product come with a marketing package? When I buy a PLR product I usually wont buy it unless it comes with graphics, and a ready to go sales letter that I can edit. I do make changes here, and there, but to save me time to get me quickly profiting with a product, I want a sales letter that’s ready to go. If this isn’t stated in the sales copy for the PLR product, ask the creator of the PLR content if a marketing package comes with the PLR product. If not, then I would look else where. 4. Can the PLR product help your customer in some way? We all want to make more money, save time, and solve our problems. Make sure that the PLR product can help your customers in some way. We all like to make money, but it all starts with making a customer happy. Be sure that you are helping them! 5. The price of the PLR product. It is easy to understand why there are different prices for different brands of a physical product. The price tag can easily determine the quality and contents of the product. PLR products are no different! To make money with PLR products, you have to spend a little money. Don’t buy a product just because it’s cheap. Usually the more expensive PLR products sell better because there is less competition. Most people wont spend money to make money. If you had to pay $197 for a product that only 400 other people were selling and could make $3000 from that one product, why would you pay $20 for a product that 4,000 people are selling and you may only make your investment back if that?! Sp there you go… These are the top five things you need to be watching for when it comes to the quality of PLR products. You are sure to make more money off of PLR products that provide good information, that doesn’t have a lot of competition, and that can help your customer. Use your head and follow this advice and you should do well with profiting with PLR products! Note: You need to signup for an account at JV Zoo (New: You'll get commissions for every product we ever put into JV Zoo when you promote this launch! ).